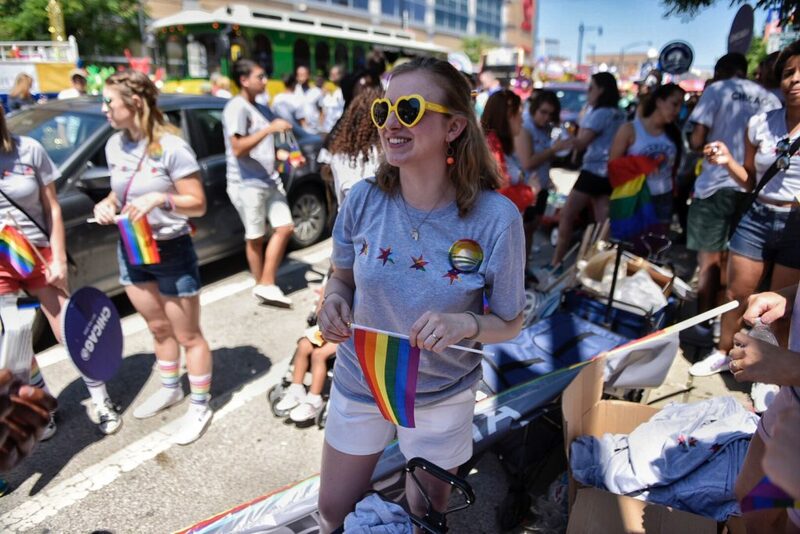 The Obama Foundation and one hundred of our closest neighbors showed up loud and proud to march in the annual Chicago Pride Parade last Sunday. 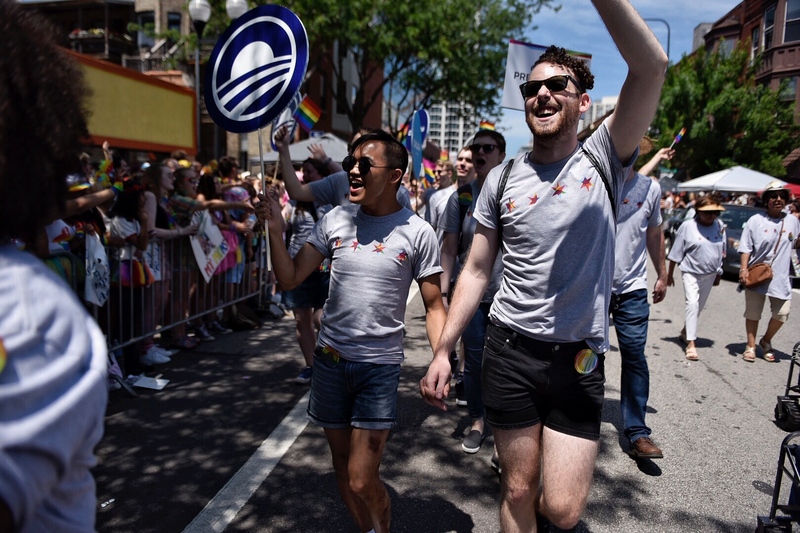 Dressed in custom Pride Obama Foundation swag, our small but mighty contingent joined a chorus of over 1 million attendees and marchers to celebrate a simple fact: love is love. You can see highlights from the day below. As we continue celebrating Pride Month here at the Obama Foundation, we also want to lift up the voices of individuals who are passionate about LGBTQ issues and progress. 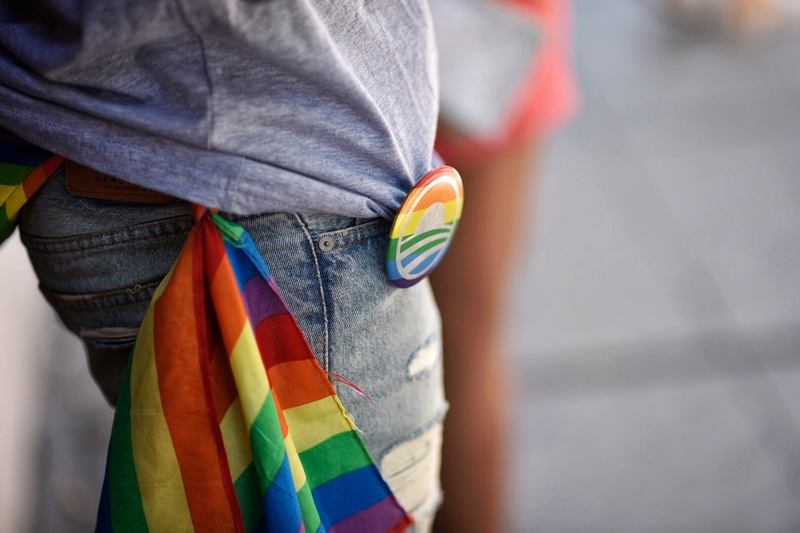 Stories of understanding and hope have poured in from all corners of the globe and we wanted to share with you a few of our favorites. We hope you’re as inspired by them as we are. 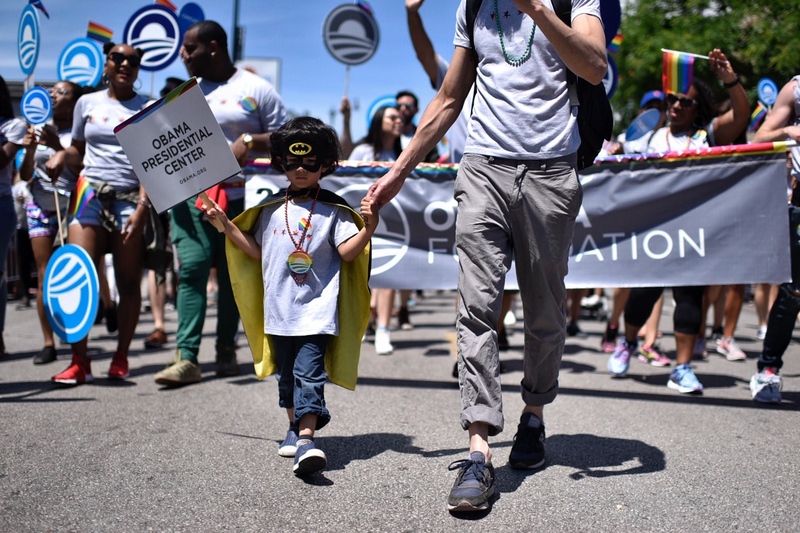 You can also see more of the Obama Administration’s work on equality and social progress here.